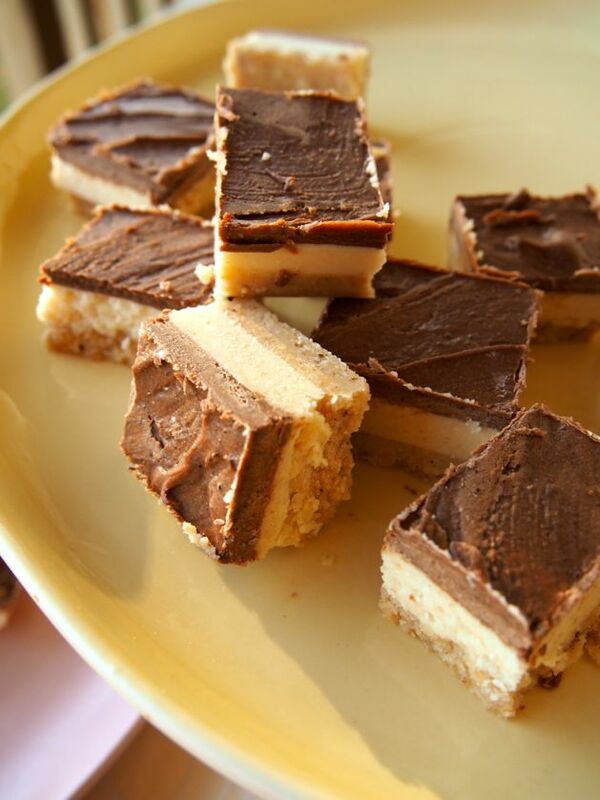 Low Fructose Salted Caramel Slice Recipe. You know the original merrymaker paleo salted caramel slice recipe is all kinds of epic… and if you like things SUPER sweet… you should totally make that one. 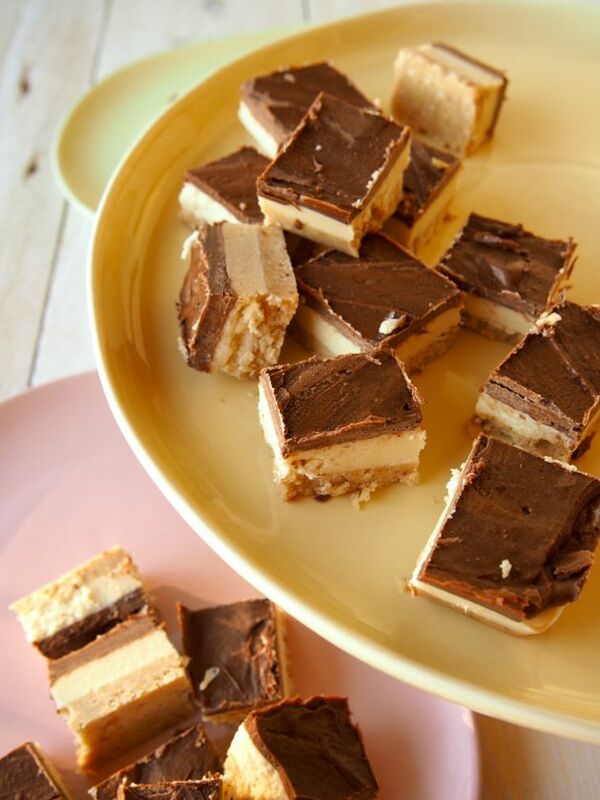 Here’s a fun fact… THAT caramel slice is the most popular recipe on our site and we totally love seeing your drool worthy pictures pop up on social media every day! Don’t forget to #themerrymakersisters so we don’t miss it! We LOVE this recipe so much we even made a RECIPE tutorial video to show you just how easy peasy it is to make!! The thing with the original recipe is that it’s choc-a-block packed with dates and maple syrup so this means it’s pretty high on the fructose radar. Most of you know it ain’t the healthiest of delicious treats! We even put a merrymaker warning on the recipe, as it must not be consumed in one sitting! Well… we heard ya! And we are delivering the goodies! We HAD to make a low fructose salted choc caramel slice! ANNNND… WE DID! This recipe is not 100% paleo because it uses rice malt syrup. But you know what? We’re not exactly fussed because dates are paleo and they aren’t really all that healthy! Ahhh… confused much. Us too! We wrote more about natural sweetener confusion and it’s kinda funny! If you’re wondering how we got the caramel flavour minus the dates and with no coconut sugar or maple syrup … it’s the ghee! OH EM GHEE how we love ghee! We get the best kind from Primal Collective. Seriously, deliciousness in a jar and makes everything taste better! Anyway, we highly recommended you make this healthy salted caramel slice, we reckon it’s even better than the original. 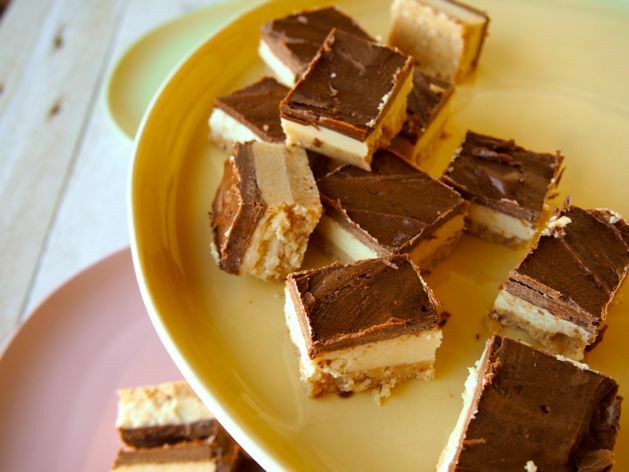 But it’s kinda addictive (we nicknamed it Salted Crack Caramel Slice) so make sure you invite people over when you make it or cut in to small portions and leave in the freezer. Otherwise you will probably eat the whole damn thing in one day (oooops… totally speaking from experience… BIG oops… but we were in the middle of book launch week… and we like totally needed to eat the whole slice… because yeah… we just did). 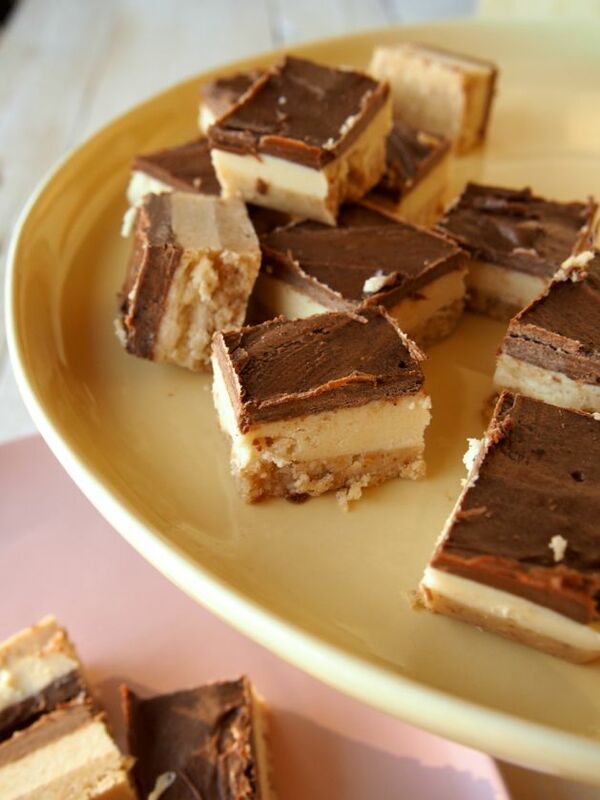 Please make me this #lowfructose Salted Caramel Slice. STAT! If you want to get your hands on more recipes just like this, sign up to our FREE eCourse! We will send you a 7 day meal plan and so much more! Line a 20 x 20 cm (8 x 8 inch) baking tray with baking paper, or we like to use a silicone mould. In a blender or food processor (we use our Vitamix) place all of the base ingredients. Whiz until a smooth butter forms. Transfer this in to the lined tin and spread out evenly, covering the entire base. On to the filling (don't worry about rinsing your blender!). Place all of the filling ingredients EXCEPT, we said EXCEPT the rice malt syrup in to the blender. Blend on medium speed until super smooth. Now add the rice malt syrup and blend on LOW SPEED until smooth. You do not want the filling to heat as the rice malt syrup will separate. Place the filling on top of the base and smooth out the top. Place back in to the freezer. Now for the icing. Place all of the ingredients EXCEPT the rice malt syrup in to your blender and blend on high until smooth. You don't need to melt the coconut oil first as the friction from the blender will slowly melt it all together. Now add the rice malt syrup and blend on LOW SPEED until smooth. Spread the icing on top of the filling and place in to the fridge for about 30 minutes. Once set, slice and ENJOY! Holey deliciousness! 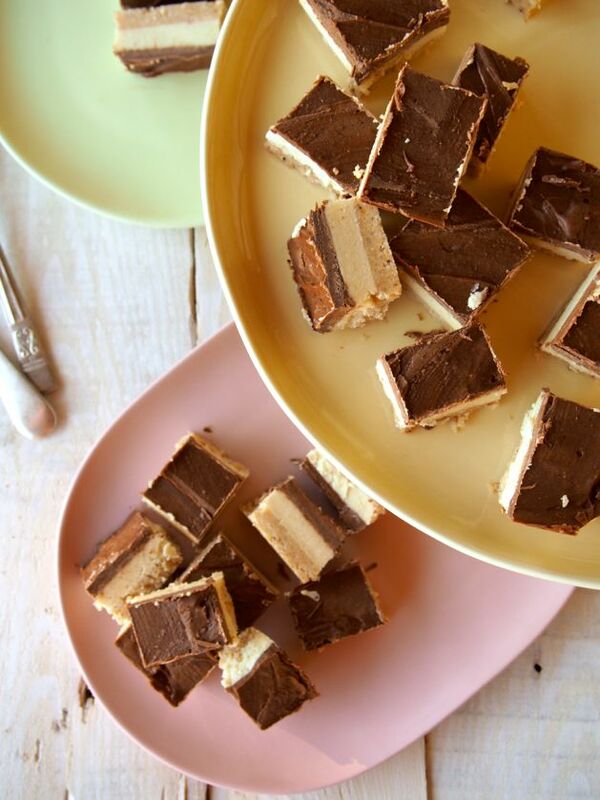 We suggest you slice and freeze separate pieces then thaw out when it's time for low fructose salted caramel slice! Sending HUGE LOVE to Optimoz for providing us with the ghee to create this AMAZEBALLS recipe! Read more about why and how we work with brands HERE!